Six primaries where lessons are mainly taught in English will switch to learning in Gaelic later this year. Bernera, Breasclete, Castlebay, Iochdar, Leverhulme Memorial and Sgoil an Taobh Siar on the Western Isles have been given Gaelic Schools Status. Learning and Scotland's Languages Minister Dr Alasdair Allan made the announcement during a visit to Breasclete School. In 1986 it was the first school on the islands to offer pupils Gaelic. Dr Allan said: "The Scottish government has been happy to provide the capital support to the project and hopes that other schools will see the benefit from the status that Gaelic can bring. "This is a milestone in the delivery of Gaelic primary education in Scotland, which has an important role in developing future generations of speakers." He added: "Great things are happening at Breasclete and all of the six schools, with Gaelic taking its place at the heart of the curriculum, strengthening pupils' bond with Gaelic language, culture and bilingualism." 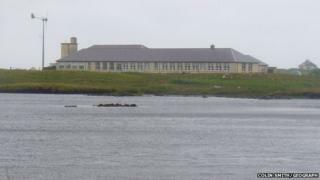 Catriona Stewart, chairwoman of education and children's services in the Western Isles, said she was delighted the six schools had been given Gaelic status. She said: "The comhairle remains committed to strengthening Gaelic in the Western Isles and although we realise there is much work to do, there are also some very encouraging signs, not least that 47% of pupils in P1 are in Gaelic-medium education. "